Three of Yan Nascimbene's paintings, including a recently completed illustration for Guideposts magazine, will included in the Millon - Petits Papiers auction on November 20, 2011. For international bids: contact@petitspapiers.be, 011 33 6 25 49 64 05. Brussels: November 11, 12. 11:00 am to 6:00 pm. 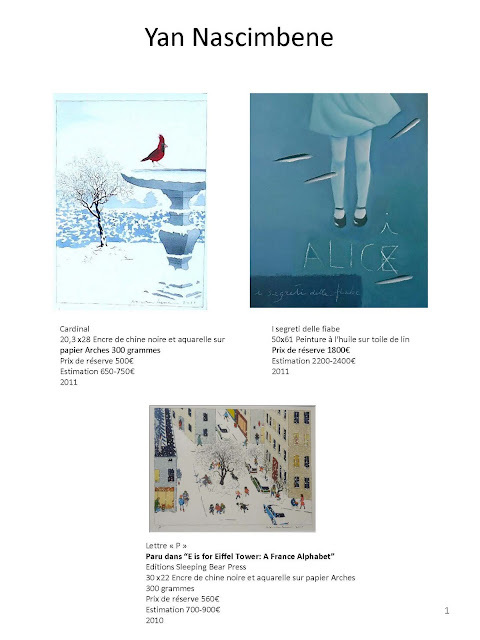 Galerie Petits Papiers, 1 place Fontainas, 1000 Brussels, Belgium. Paris: November 17, 18. 11:00 am to 6:00 pm. Salle VV, 3 rue Rossini, 75009 Paris, France.